One question… What is your Marketing strategy? Whether your company is based in a small rural town like Doole Texas, or a huge booming city; Whether you have a pharmaceutical company or a fruit stand, marketing and trading is the way to make and market your product. It's your product's entry into the world, and could turn your startup company into an emerging competing industrial force. Remember, there is no golden ticket to the top, but with hard work, you can make it. Many businesses have a plan when it comes to how they market their products or services; They've got detailed plans for pricing and how many items they want to sell. But what does it mean to run a successful business or company? Is there really a solid definition? You wouldn't just start a company without having goals, plans, or strategies, would you? No! 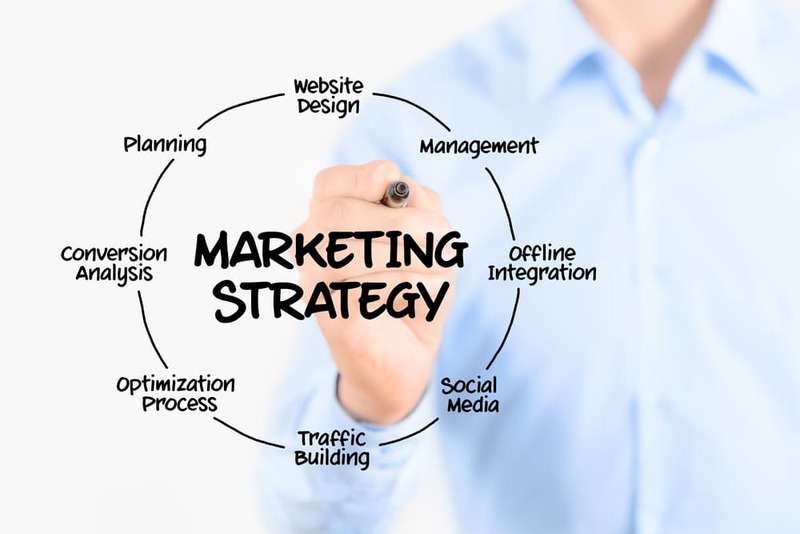 A marketing strategy is one of the most simple ways to create a simple and successful business. This business plan should cover all bases, here, there, international, global, or right around the block. Your team must be driven and innovative in order to be successful. 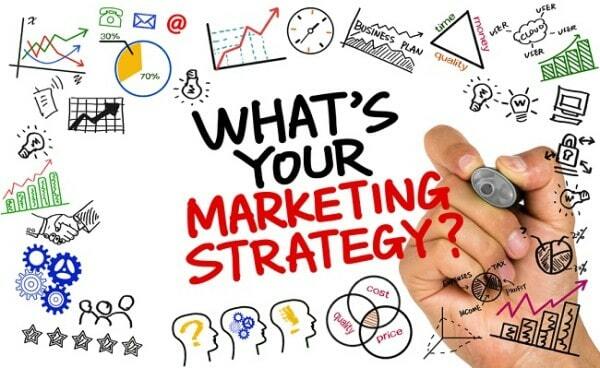 A marketing strategy is when a business or company evaluates their marketing goals and places them all in one plan that is easy to look at, at a glance and comprehensive to those all around. This doesn't have to be a novel or an essay, a simple and brief PDF document will do just fine. The simple equation is as follows: Market research + your mix of products = Maximum profit. This is the foundation to a marketing plan. For example, the equation would look like such: your goals, who you're selling your products to, and the population + a list of your products = your maximum profit. Take Tesla for example, here is what their marketing strategy may look like: They may have a goal of selling 10,000 cars in a year to the everyday driver (Market research), they've got Models S, X, and 3, but they've also got solar energy; More than likely, those that want to buy an all electric car, will want to probably be efficient with their home as well (mix of products). By showing the right people, the right product, more than likely they'll want to buy “the right” product. Or, here is whats up with Nike. Nikes known for their shoes, but they've got other products as well. In addition to their shoes, they've got workout clothing to offer too. More than likely, if you're buying their shoes, you're looking for activewear as well. Another example would be the Walt Disney company. Their marketing strategy is: what is popular + what has done well = maximum profit. More than likely, you can't start anything without targeting some goals. Setting goals is important, and it allows you to know where and when you need to move on things. If you first plan the goals, you later know what you need to do and you can figure out how to achieve the goals to make your business more successful.Once you have and approved goal proposal, you can start by carefully planning, and then move into the implementation process to make your goals a reality. Firstly, do an analysis. Analyze the entire company, while doing an analysis, be sure to also do a SWOT analysis as well. Check out this great template that you can use! While doing your analysis, you also need to get an understanding of your buyers’ persona; This will include those that will be your buyers and those that won't be your buyers. Lastly, you'll want to see where your buyers are converting from. Using the information you gather in your analysis, create a strategic plan that benefits your company. Sites like HSMAi can help you create your own marketing plan. You can also try going to a conference as an alternative to hiring a consultant. Events like this will have a wealth of information, and you can absorb as much of it as you’d like. Consider creating both an offensive and defensive strategy. Make sure that your website is optimized, on mobile and on desktop. Make sure your content is relevant and interesting. Know where you're going to distribute your product and branding (social, email, or by word of mouth). Make sure that you've got an SEO strategy. Define your Key Performance Indicators– This means, after your strategy is in place, check to see what parts of your strategies are working and which parts aren't working. Make sure that you change those parts that aren't working. Once you launch your strategy or strategies, make sure that your tactics are the executors of your goals. Your tactics will be similar to your goals, utilize your tactics to execute your goals. Remember, you want to be building your company up, so keep your goals in sight. Managing this part of your company can be most difficult, because you have to distinguish what, if anything is causing the company to stray from its goals. It does depend on the company, but most of the time the thing that is slowing down your business is a person. This person or group of people could be beginners that didn’t catch on, or individuals that just want to slack off. Either way, you do not want these people to have a negative effect on your company. Also keep in mind that you will want allies for your company. Once you form these alliances, take care of them. Send them hand written thank you’s in the mail, and don’t be afraid to invite them to your office so they can see the innovation or extension that is happening in your company. You want your partners, whether you have 4, 5, six, or 7, to be oriented with how your company’s history, so that they can see the power it builds up, and how you compete with other, similar companies. Be wary of a joint businesses, though, especially with several partners. They will probably be pulling in several different directions, and you don't want this to lead to the reverse of your company’s progress or to the exit of your company from the business world. In addition, they may be accounting for several different networks that are at the top of your industry; meaning, during your partnership they might be trying to tear you down instead of build you up. As your company begins, a good team is essential to the success of any marketing plan, but remember there is no one route to success. Remember, when selecting your members, you want to be selecting the best of those available. You don’t want one person carrying the team, and you certainly don’t want anyone just skimming by doing minimal work. You will want to integrate several different kinds of people into your group, all who need to be full of fresh ideas. This will allow you to efficiently complete operations collectively. You need a someone in a leader role who has a positive impact and can bring positive growth to the team, but you don’t want anyone being micro managed. This leader should segment the work, and evenly disperse it out to team members, with tasks that are concentrated on their strengths; for example, your team programer might be tasked with developing software, your designer or artists might be assigned to designing new advertising or a new commercial, and your social media manager might be charged with networking. After assessing your team, you can decide what, if anything, you want to invest in. Many companies invest in apples, and provide their employees with electronics, like an ipad or and iphone. You need to have differentiation between what is and is not beneficial to the company. Once you have differentiated what is or isn’t good for your corp, you can go on to defining the basics in your company: policies that will keep everyone in check, insurance and or healthcare, and opportunities, including games, that can help your employees improve. Some companies go so far as to take their employees offsite and offline for bonding exercises. You have to decide what is best for your company. When dealing with new entries, by defination new beginners, into your company, you may want to keep them in an almost classroom setting with rules and learning. You are the Christopher Columbus of this company, so teach them what you know and see how it goes. 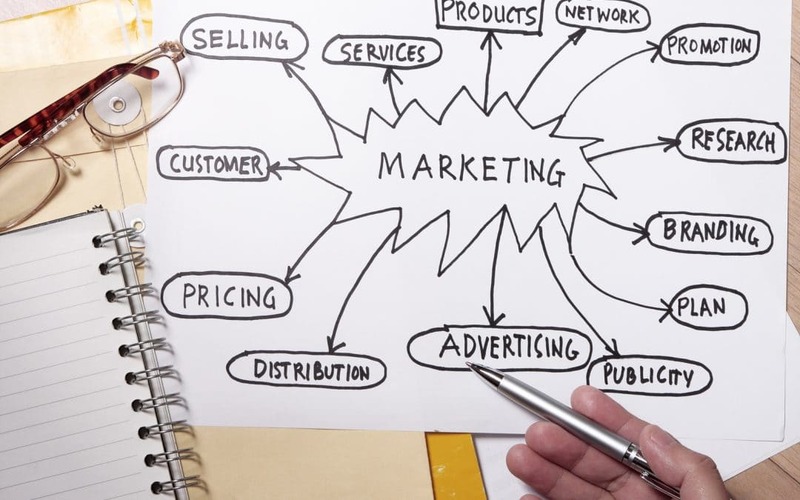 There are tons of marketing strategies, and all companies use them. Apple, Tesco, Unilever Inc., Coca Cola, Samsung, Walmart, Zara, McKinsey & Co, McDonald’s, Amazon, Red Bull, Nike, Adidas, Sephora, Pepsi, Toyota, Chipotle, Uber, Under Armour, Ikea, Lowe’s, Netflix, Airbnb, Burberry, and even nonprofit organizations all use marketing strategies. 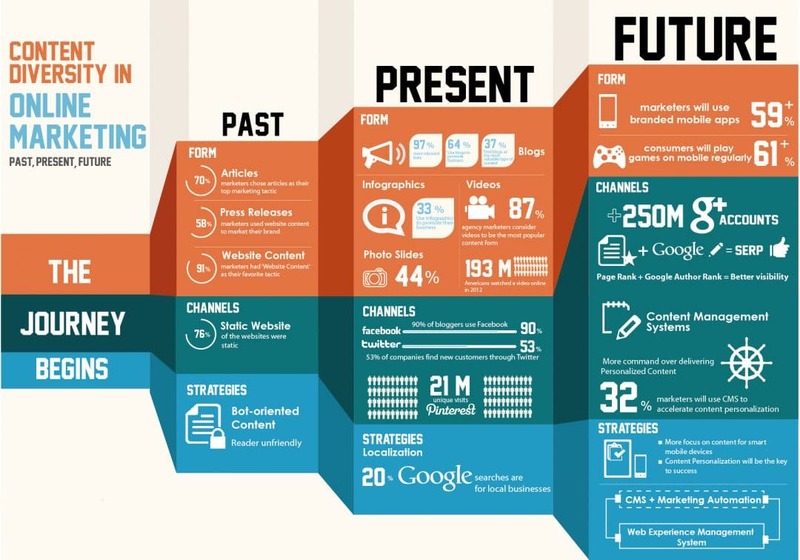 There are many types, some of these companies sample different integrated marketing strategies. In order to pick the right marketing strategy, consider consulting an expert or a developer, and don’t be afraid to start with a generic marketing plan. You can make an adjustment or two so that it better fits your business’ needs. Consultants can be very helpful, because you can discuss issues specific to your business with them, and come up with a more efficient marketing plan for you. If you don’t have a consultant or developer near you, that’s perfectly alright. Check out a book, or even a few books on marketing, or use the web, it is full of helpful recommendations for everything. As your company expands, make sure that the management at each of your firms has strict objectives. While your company is expanding, you want to make sure that you are still influencing each part of you company. Consider having each head report what that base might have in store, meaning, what kind of integration and diversion your company is seeing from the original marketing plan, how competitive each department is, how well different types of articles are doing, and if what you are investing in ( a phone for each employee, hotels for company travelers, premium linkedin profiles for all employees and so on). You might consider having the head agents of your company describe, in a paper, a clearly defined goal, based on an assignment that you have given to them. Make sure that the leaders of your company are representing you well. This means not only should they be trying to stick to current fashion trends, but they are also staying to a single course, which you have educated them on. Don’t allow your reps to wear or do anything offensive. If they can not stay up to date, perhaps they need new job placement. You also need to be staying up the the latest style, as should any of your single or secondary partners. As the developers of your company, you need to represent it well. 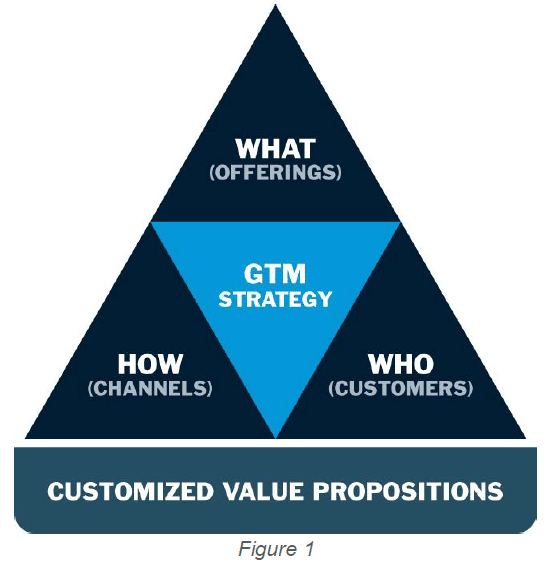 A go-to-marketing strategy or GTM (GTM refers to Go to marketing) strategy is the plan or action of how a company is going to push their products out, all the while distributing new products to their general customer market. Take Starbucks for example, their GTM strategy? Pretty awesome… Remember when their Unicorn Frappuccino came out? Now think about it? Have you ever seen ads for Starbucks? No… Their customers market for them. Have they ever spelled your name wrong? Maybe you thought they misheard you… They didn't. They did that on purpose. You market for them. They use word of mouth – the influence of society – to advertise for them (this doesn’t explain why their prices are so high, though! I want a better bang for my Starbuck!). More than likely when you went to Starbucks, you ordered the Unicorn Frappe, and took a picture of it to share on social media. But more than likely, those that are faithful Starbucks drinkers stuck with their favorites; They became the rebel alliance when it comes to their morning routine and probably posted about their beverage. So while a new beverage was being promoted, their old drinks were still being sold. Amazing how that works- starbucks gone viral! The best part about this approach to marketing is that the cost is low. Your main goal for social media marketing is to have engagement. The great thing about social media marketing? You can reach people in Australia, India, the UK, or China, thus implementing your product and company in other parts of the world. Globalization of your product will only bring you good fortune. Components like social media marketing takes marketing to a whole new level. Social media marketing does not have to be just solely on Facebook, think of YouTube, Twitter, and Instagram or even Pinterest as a social media corporation. This type of marketing is reaching and sharing components around the world without actually entering those foreign places. Social media marketing is high in effectiveness, due to how often social media is used by the average person. It is essentially the basic bandwagon advertising, but in a much more subtle way. Remember you want to be the influencer of people’s decisions, and it’s all about timing. The nice thing about using YouTube as a form of social media marketing is that, if you so choose, you can use the same strategies for TV marketing. Ecommerce never looked so good. The internet has made things like e commerce possible. Like many other strategies or model templates, setting goals are the biggest and foremost part of marketing relationships. It's a must. Think of goal setting like a screw driver. Everyone has a screw driver in their toolkit. The only way of meeting any goal is communicating each goal clearly and properly to beginner and executives. Each member that is segmented in on your goals can help you through the stages of meeting your your goals. You should be making long term goals and short term goals. For example, if you are on a marketing team for a hotel, a long term goal might be to set up a restaurant with all the proper licensing for selling liquor. A short term goal would be to have so many rooms filled each night. Awareness, interest, desire, and action are the four steps to creating a marketing funnel. The marketing funnel is the journey that your customer or consumer will take or is meant to take. Firstly, you want to make the customer aware (Show them who you really are) of your stores or venture. Secondly, promote interest (Spark- factors in the need vs want) in your product. Hopefully, the interest will create a desire (have to have) in the investment which will lastly promote an action (purchasing). This system was developed in order to such people in and make their shopping (their access to your product) as easy as possible. Create a call to action that constitutes integrative technology… and by integrative technology, I mean, create an image or button to allow the consumer to be aware that they are able to buy your product right from page they are on. It's a great way initiate the buying process. It's your job as the marketer to initiate the CTA, it's a cosmetic portion to your site that allows you to begin the buying process. Your call to action could be as simple as a video shot with a gopro, or as enticing as the promise of free samples. The CTA should be enticing so as to draw the consumer in to your product. This is especially effective for nonprofits that can make videos that entice you with touching footage. Another option for your digital marketing is the lead magnet… takes the lead. Launching a lead magnet targets those that are interested in the product to have an easy approach to communication between the buyer and the seller. Having a real and effective lead magnet will give you a better lead into the funnel. The worst thing about the internet? The inability to control the online audience. The smartphone era has consumed the internet with as little as a free app (application) download. It is hard to successfully promote your product when everyone you target seems to be uninterested. But the way that we can solve this small issue? Presentation. Why sell to those that aren't interested when you can market to those that are? Be sure to follow your goals and utilize the segmentation of each goal to target your niche followers. 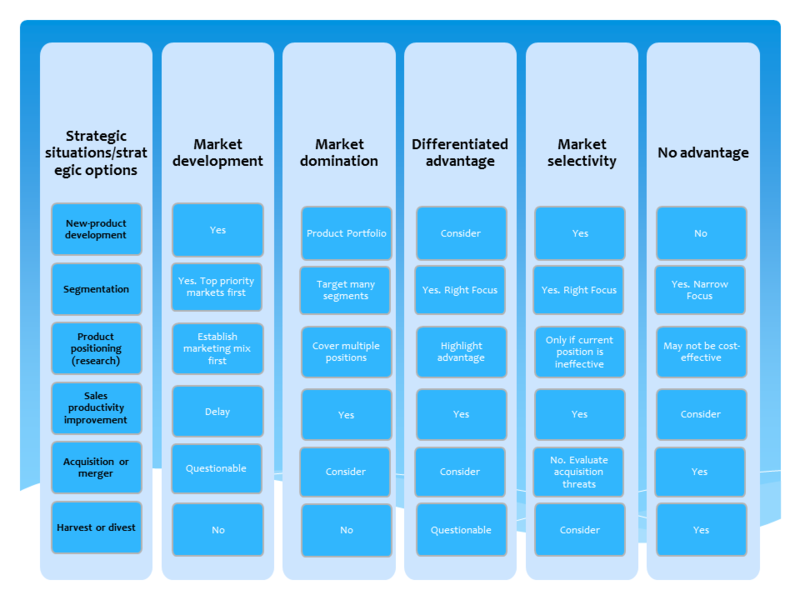 Market penetration strategie is a segmentation of sorts. There is the 4p (Product, Place, Price, Promotion) and 7p (Product, Place, Price, Promotion, Process, People, Physical Evidence) system. Marketing penetration is about patrolling your market to see how your products are doing. Market penetration allows you to adjust your market to make your business as profitable as you can. You can add additional monetization to your sign by adding affiliate links. You can study different aspects that affect your sales, like a specific event, or the release of a specific kind of music. These things seem insignificant, but they shape the desires of the population. Adjusting the price as there is a fine line. If the price is too low, the quality may be questioned. If the price is too high, the consumer will find competitors to go with that may be cheaper. For example, McDonalds markets hamburgers that are low in price, and their quality is commonly questioned. Restaurants and food marketing are obviously very different than most marketing (they have to consider service, multi-tasking, and several other aspects into their marketing plan in order to determine their overall value before they make investments), but it’s a good example to keep in mind. You may want to start your price at the manufacturer's suggested retail price, and then you can adjust it as needed. Question why your customer base isn't purchasing the products that you've provided. Maybe the product needs improvement or maybe the product isn't appealing to your customers at all. Think of ways that you can edit, completely change, or “fix” your product for your market base. You want to make sure you maintain your state of equity. If your products don’t take off right away, you might want to consider incorporating some FMCG products. FMCG products, or fast moving consumer goods, are products that are sold quickly and at low cost. Usually they are disposable products like toiletries. Another thing you can do if you are having trouble with sales is look at your records. Check records from 2013, 2014, 2015, and so on to see any patterns in the sales of products. Continue to check your records, even if it feels like the 11th or 12th million time, check them weekly so you can be sure that you don’t miss anything important. There are several apps that help you track and journal your progress. You will be wanting to look for a big pull for certain products at certain times of the month. You can also make a variety of products, for example Summit, a sports and motor racing company, sells everything from motors to paint to tires. Remember your TAM, SAM, and SOM, which is the Total available market, the Serviceable Available Market, and Serviceable Obtainable market. Think you've got a product that will blow everyone out of the water? Maybe… But how will you know if you don't promote it to the top of the line? Promotional material is of the utmost importance. Just because your original product may not be the “bread winner” of the family, doesn't mean you don't have another product that would bring home the gold. Another great way to promote your product is to have as much information about it available as possible. Maybe have and ‘About’ tab on your site, or a Q & A. Check your methods of distribution, including production and packaging. Quite possibly there may be a glitch in how you market your product. Maybe you've been emailing updates, newsletters, or product information where you need to be tweeting about it. The method in which you choose to market your products is the way that you're consumers are going to associate with you. If your product is something like music or a program that people download, you will want a way for both you and them, the consumer to be exporting your product quickly and efficiently. This could mean making a program that does this by itself, or hiring people specifically for the purpose of exporting your product. The downside to hiring people is that you have to pay them to do the same thing 50 million times. The downside to creating a program is that you have to make it to your specifications, and you constantly are updating it looking for the best and most efficient edition of the program. Check your tactics. If you've been successful in your marketing ventures with your products, tweak things as necessary. But if you've not had success with marketing your products, you need to change your tactics to execute your goals. If you are receiving a lot of mixed interest in your product, it is highly probable that you have targeted the wrong crowd and need to reevaluate your strategy.Think of different or more unique ways to market your product. Be unique and creative in your approach. For more information on marketing penetration, check out educba.com. There is a reason that this is called a content marketing strategy. It's more than just writing a few words here and there about a subject or a topic. It's about doing research and figuring out not only how to efficiently write the content, but how to market the content properly. The content that will be written for your product or products should be SEO optimized and engaging to your audience. Make sure you generate leads and improve the branding of your product; Truly, it isn't just about writing a product description and posting it for the world to see. Internet marketing is the same things as plain marketing, except… It is on the internet. Marketing online is probably one of the worlds best inventions, not only for a start up business, but also for a well to-do business. Inbound marketing is a great strategy for this; It's undifferentiated and easy to obtain when it comes to rotation of your marketing needs. According to entrepreneur.com there are only 6 online marketing strategies that are really useful and successful. Personal branding- Personal branding is one of the first things that should be done. If your consumers know who and what you are as a person, they'll have a trust and knowledge in and of your business. Content marketing- Content marketing is great for those that want to write an ebook, some help guides, blog posts, or information on your products. SEO- Search engine optimization, make it so that your content can be found on the internet. This is the best way to get more traffic to your pages and more conversions. Conversion optimization- Conversion optimization helps with… You guessed it! Your conversion rates. Check out how you can optimize your conversion rates to get the most benefit out of each and every visitor. 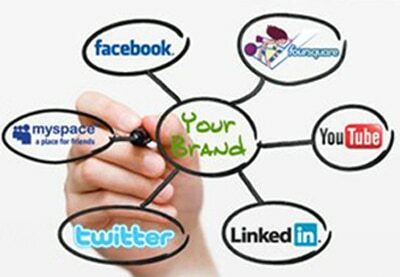 Social media marketing- Social media marketing is great for creating and nurturing engagement. This is also a great channel and resource to post SEO optimized content. Email marketing- Email marketing is a great source for return of investment (ROI) due to the fact that you can gain subscribers from your social media channels. Not only do you have a ROI, but you've also got more engagement. 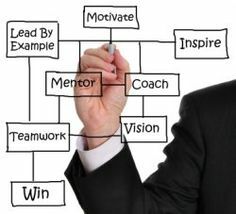 The MLM marketing strategy is one that uses rewards to essentially get your employees to do all the work for you. Employees get a certain percentage of all the sales they make, as well as any sales made by recruits from that specific employee. This strategy gives your company a competitive core, which is good to en extent. You need to ensure that the external statement of your business is what you want to be. Beware of new employees that enter the environment without knowing the competitive nature of the company. Your marketing strategy is not for b2b so much as b2c, each strategy takes time to develop, no matter the type, pdf or ppt. The grid above might give you a good idea of people or companies that you might want to base your strategy off of. For example Dave Chaffey is one of the great authors of the digital marketing world. He has written a chapter or two on how to make a good marketing plan. Creating a strategy takes a network of communications to go through the life cycle of your company and its behavior. It takes framework. It isn't a game so much as strategi when it comes to marking the estate of your business. This strategy will show neutral positioning all the while showcasing advantages and disadvantages of your major internal guide and how you wish to communicate your practice. You can leave your business franchising plan stock, but to be very direct, the difference you will see with a marketing strategy that is case by case for each business, project, or campaign. This affects your startups for the better, and can help with the expansion of your company.